If you’re turning your Mitsubishi Evo 7 or 8 into a track project Kansai Service has a way for you to save a little coin on your budget. The stock Recaros on the Evo are actually very good but since they position the driver so high up, you often have to buy a set of racing seats. 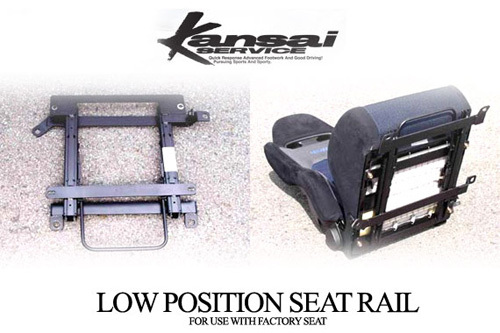 However with Kansai Service’s seat rail you can lower the seating position while keeping your stock Recaros. This will give you more head room (ideal for driving with a helmet) and balance the weight of the driver a little better. You can pick the seat rails up from More-Japan.